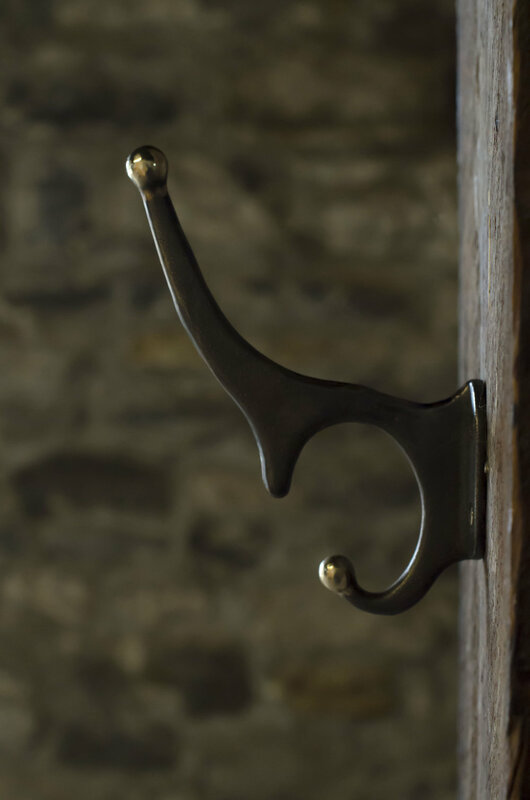 Cast bronze hook inspired by the northern coastal aesthetic of France. Metal Finishes: Antique Bronze, Oil-Rubbed Bronze, Polished Nickel, Polished Brass, or Gunmetal. Available with polished ends. Please inquire.